Happy New Year!! and thank you for your signing up. This link will be active January 1st, 2009 only . 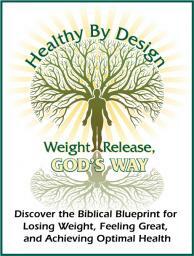 Please right click on the title "Healthy By Design' above and click 'save link as' to save it to your computer. P.S. Please join us on Sunday January 4th at 8:00 pm for a free tele-class. Have your health and wellness goals ready to share and 'tweak'. I want to help your success by making sure your goals are realistic, attainable and covered in prayer.